On December 1, 2017, Liu Daqun began nine days of English-language lectures on international criminal trials to students of the China University of Political Science and Law in Beijing. The esteemed Chinese jurist had ended his term as vice president and judge at the International Criminal Tribunal for the former Yugoslavia (ICTY) at the Hague, Netherlands just three days earlier – sitting next to the presiding judge for the court’s last trial of its 24 years in operation. From its inception in 1993, the ICTY tried 161 individuals accused of serious violations of international humanitarian law – including genocide – in present-day Croatia and Bosnia-Herzegovina. At a closing ceremony held on December 21, 2017, UN Secretary-General António Guterres said the tribunal had “pushed international expectations of accountability beyond what was anticipated in 1993, transforming how we speak about and address situations in which serious international crimes are committed.” On December 31, 2017, the ICTY was officially wound up. Liu joined the ICTY as a judge in 2000 and presided over more than 30 criminal cases at the tribunal. He was appointed a judge to the International Residual Mechanism for Criminal Tribunals and presided over the trial of Ratko Mladić, a Bosnian Serb former general found guilty of committing a series of war crimes. Since the UN Security Council passed Resolution 827 to establish ICTY in 1993, the Chinese government has sent three judges to the tribunal. In 1991, mass atrocities swept modern-day Croatia, Bosnia and Herzegovina. Thousands of civilians were killed, wounded, tortured and sexually abused. ICTY statistics showed that some 800,000 to one million Croatians were forcibly purged during the Balkan conflicts, which lasted until 1993. In an article on the history of the ICTY, Liu described these crimes as the greatest social turmoil since World War II. In July 1992, UN Resolution 764 urged all sides to adhere to international humanitarian law and end hostile activities in Bosnia and Herzegovina. Nevertheless, the resolution failed to stop Duško Tadić, a politician and paramilitary fighter who the ICTY would later convict of crimes against humanity, grave breaches of the Geneva Conventions, and violations of the customs of war. After his arrest by German police in Munich in February 1994, Tadić became the first person to be tried by an international criminal court of war since the Tokyo and Nuremberg tribunals. During the trial, Tadić argued that the court was illegitimately created through the United Nations Security Council, adding that the Security Council was an executive governmental branch and thus did not have the power to create a judicial body. The court was forced to review the legality of the establishment of the tribunal and later made a ruling that the UN had the power to set up the tribunal. Li Haopei, elected in 1993 as one of ICTY’s original 11 judges, had expressed a different view. In a separate opinion on the defense motion for “interlocutory appeal on jurisdiction,” Li argued that the Charter of the United Nations and the statute of the tribunal had never given the tribunal the power to review the legality of Security Council resolutions. The court, he argued, should have dismissed the appeal on this question without examining the legality of the tribunal. It was the first separate opinion delivered by Li, and gained support from various legal scholars. It was adopted in another case at the tribunal in 2001. Judge Li’s opinion has not only influenced international legal practices, but also the legislation of international treaties. The Rome Statute of the International Criminal Court, enacted in 1998, was the first international convention to apply the defense of duress. 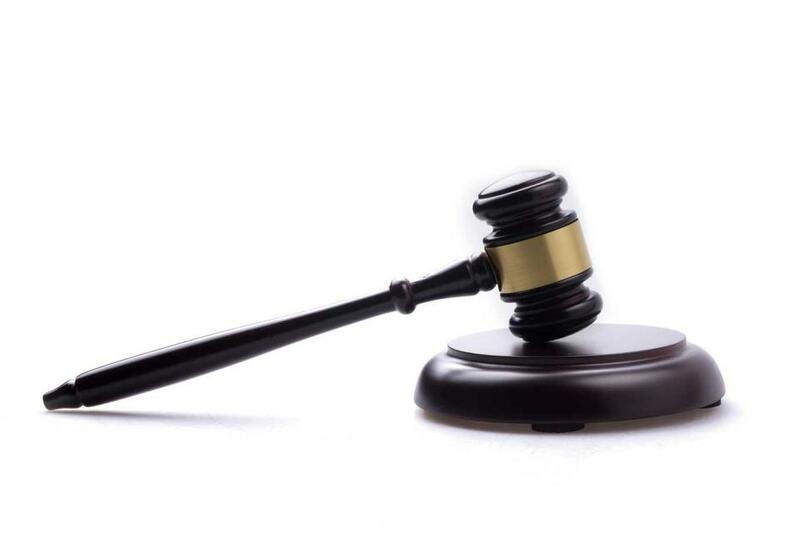 Its Article 32 of grounds for excluding criminal responsibility states a person shall not be criminally responsible if, at the time, the person’s conduct was coerced. The legal article was based on the trial of Dražen Erdemović for his involvement in the 1995 Srebrenica genocide; the trial for which was presided over by Li and his ICTY colleagues. At the 1996 trial, Erdemović claimed his life had been threatened and he had no choice but to commit the crime. At appeal the next year, judges insisted that the presence of duress did not absolve him of guilt, despite his life being threatened. The court ultimately reduced his sentence from 10 to five years in 1998. Several ICTY judges voiced dissenting opinions on the case. Li argued that duress, or obedience to a superior’s order under threat of death, could not be a complete defense for the massacre of innocent civilians, but could be a mitigating factor in sentencing. Even though the Rome Statue did not fully adopt his opinions, Li and his colleagues’ arguments generated debate on the topic and pushed international criminal law to a new height. One month after the release of the separate opinion in October 1997, Li passed away at the age of 91. Before his death, he had recommended his friend Wang Tieya to take over his job. To date, some 87 judges have worked on the ICTY. Li Yongsheng, China’s permanent representative to the UN, said the legal practices of the ICTY have significantly enriched and developed international criminal law, providing a unique legacy for other international judicial organizations. Over the years, the ICTY has become well-known for the strict criteria it uses to select judges. The ICTY statute stipulated that “judges shall be persons of high moral character, impartiality and integrity who possess the qualifications required in their respective countries for appointment to the highest judicial offices.” In Liu��s opinion, each country had to send its best legal talent. All ICTY judges are elected by the United Nations General Assembly for a term of four years and are eligible for reappointment by the United Nations secretary general after consultations with the presidents of the Security Council and of the General Assembly. Liu Daqun, however, was directly appointed as an ICTY judge by the United Nations Secretary-General Kofi Annan in 2000. 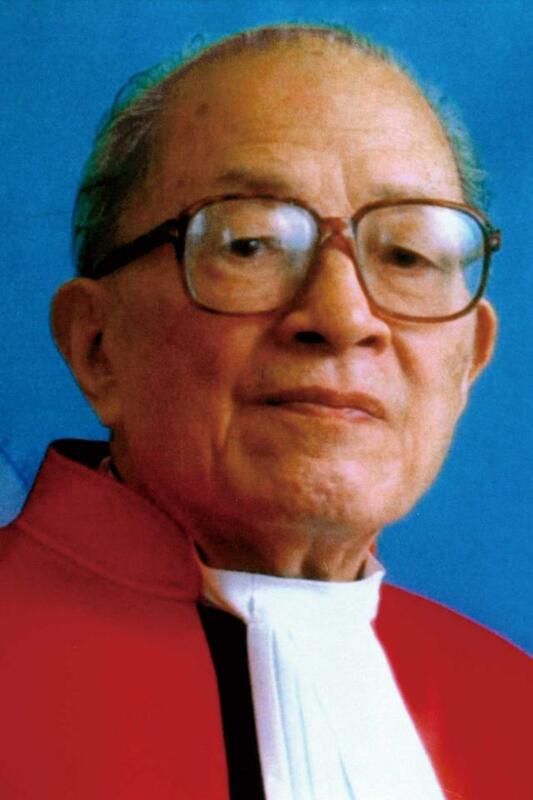 Wang Tieya was elected as a judge in 1997 but resigned in March 2000 due to poor health. At that time, the General Assembly was closed, and Liu was re-elected by the General Assembly in 2001 and 2004. He described the role at the ICTY as heavy mental and manual labor, where he had to spend the majority of his time sitting, writing and reading. The court began at 9am and closed at 4pm, and judges had to sit for several hours on end. In an article, Liu argued that the most appropriate age for an international judge was between 50 and 70 years old. “Judges under 50 tend to have weak qualifications and experience. Over the age of 70, however, they can find the physical strain of the trial too challenging,” he said. The average age of the first 11 ICTY judges was 60. When Li Haopei and Wang Tieya took their posts they were aged 87 and 84, and were the oldest judges on the tribunal. Ling Yan, a professor at the China University of Political Science and Law who is also the daughter of Li Haopei, told NewsChina her father had been dean of the law school of Zhejiang University since the People’s Republic of China was founded in 1949. Shortly afterward, the law school closed and China’s legal education suffered due to the nation’s own political turmoil, until China adopted widespread reforms in the late 1970s. Li once appealed to the Chinese government, arguing that if the training of legal talent was suspended for too long, the nation would be left wanting. Since the 1980s when China rejoined the international community, it had to send a number of elderly legal experts educated before 1949 to serve as international judges. Li Haopei once said he wanted to spend 10 years after his retirement writing a monograph on international private law and translate it himself into English. Wang Tieya expressed the wish to draft a textbook on international law. But neither ultimately managed to do so. 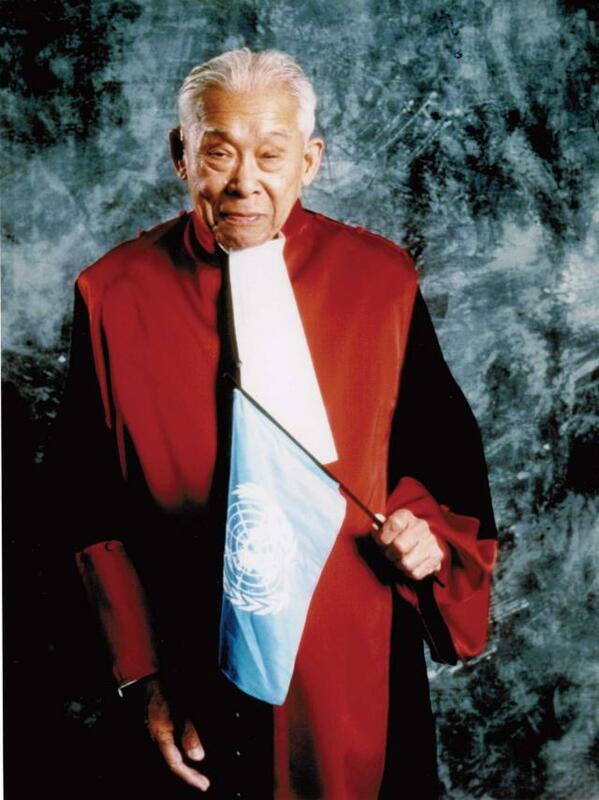 When Liu Daqun became the youngest ICTY judge at the tribunal, colleagues dubbed the then-50-year old an “infant judge.” Unlike his predecessors, Liu was educated after 1949 and graduated from Beijing Foreign Studies University in English language and literature and received legal training at China Foreign Affairs University. Prior to his role at the ICTY, Liu held a variety of positions with China’s Ministry of Foreign Affairs. 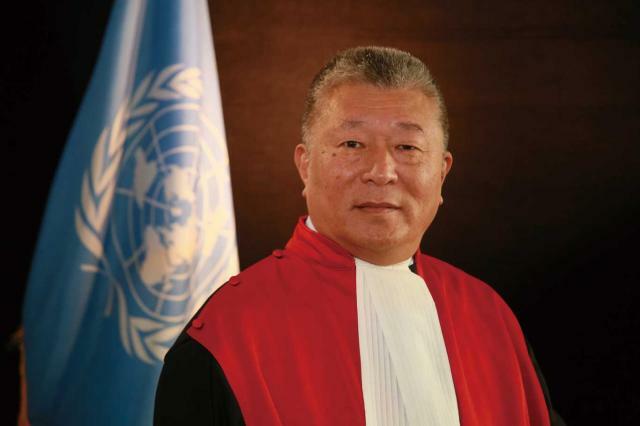 Judge Liu Daqun was elected vice president of the ICTY by his peers on October 21, 2015. Liu said even though China had made great gains in training international legal talent in recent decades, and the number of Chinese law school graduates each year matches the population of some small countries, very few could pass the recruitment examinations for the ICTY. As of March 2016, the ICTY employed 425 staff members of 69 nationalities, but only a handful of legal officers were from China. In recent years, a growing number of Chinese students have landed internships at the ICTY. According to incomplete statistics, at least nine interns from China worked for the ICTY in 2016 and in 2017, the number rose to 11. In addition, the ICTY received two visiting scholars from China in 2017. On August 1, 2017, the China Scholarship Council began to support college students to work as interns at international organizations. Some have already secured positions at international criminal judicial institutions.